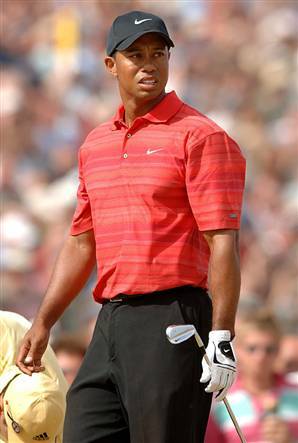 As for Tiger Woods . . . Who Cares? Image is everything, especially when the reality of a situation is vastly different than the image itself. Regrettably, our nation all too often is far more caught up with image than reality. As long as the market is up, does it really matter what the underlying fundamentals might be? As long as my team is winning, does it really matter what may be going on behind the scenes? As long as companies generate revenue, does it really matter how the register is being rung? Tags: image vs reality, Tiger Woods, Tiger Woods conference, Tiger Woods February 19 2010, Tiger Woods image is everything, Tiger Woods press conference, Tiger Woods statement, Tiger Woods Who Cares? What do the dalliances and sexploits of Tiger Woods have to do with Sense on Cents? Everything. For those who have read my pieces, you have heard me stress how important it is to understand risk. On Wall Street,as in any business, there are all types of risk. For example, there is market risk, credit risk, interest rate risk, prepayment risk, and counter-party risk amongst others. For anybody involved in the markets, all of these risks are facts of everyday life, but they pale in the face of what many feel is the greatest risk of all, and that is “in never taking risk.” For without risk, there is no reward. However, in my opinion, there is a greater risk that lurks everyday and for my money is massively mispriced, and that is reputation risk. When I say mispriced, I mean there is no premium high enough to jeopardize one’s personal and professional reputation. Again, there are many who would say Tiger Woods, or any individual for that matter, is entitled to his personal privacy and should not be publicly judged by his private actions. I would respond that Tiger Woods is not strictly a private person, but he is also very much a public brand, and effectively an industry unto himself. The power of the Tiger brand was enormous. As with any brand, the marquee value is maintained only by continually burnishing and polishing the image. Say what you want, but the Tiger image is forever changed and with it the Tiger brand. Can Tiger redeem himself? Of course. The power of redemption is a remarkable force. I hope for his personal sake that he addresses his issues and does redeem himself. That said, the Tiger brand is forever changed. While I am fully supportive of taking prudent risks in a career, the one risk for which there is no premium high enough is the risk of a tarnished reputation. With word of mouth being the most powerful form of advertisement, you never want to run the risk that your product is viewed as impaired by a questionable reputation. Tiger Woods’ personal transgressions put his professional brand at this greatest risk. He has lost more than he would have ever imagined. Tiger is perhaps the greatest golfer to ever play the game. As in any business, though, the risk of jeopardizing one’s reputation goes far beyond any golf course, trading floor, or boardroom. That is the Tiger lesson for all of us.